Home / Fine Motor Activity / Squishy Fine Motor Fun! 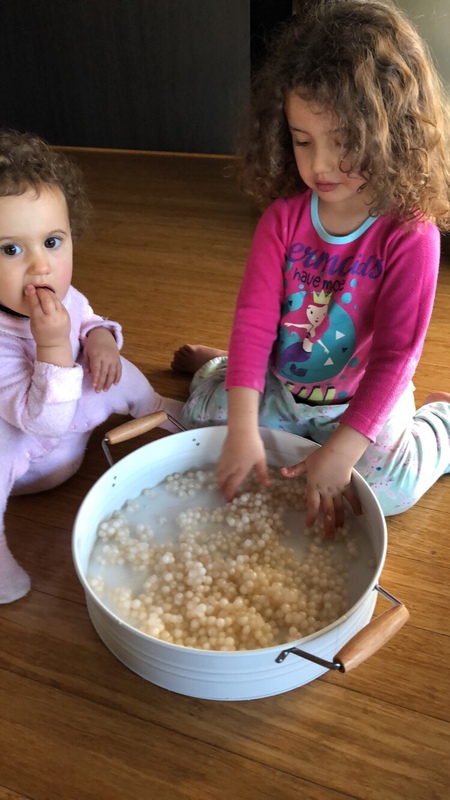 We love playing with water beads at our place however they can be very dangerous if consumed. Miss 4 is old enough to understand the risk and will happily keep them away from her mouth. The same cannot be said for Miss 16m – understandably. 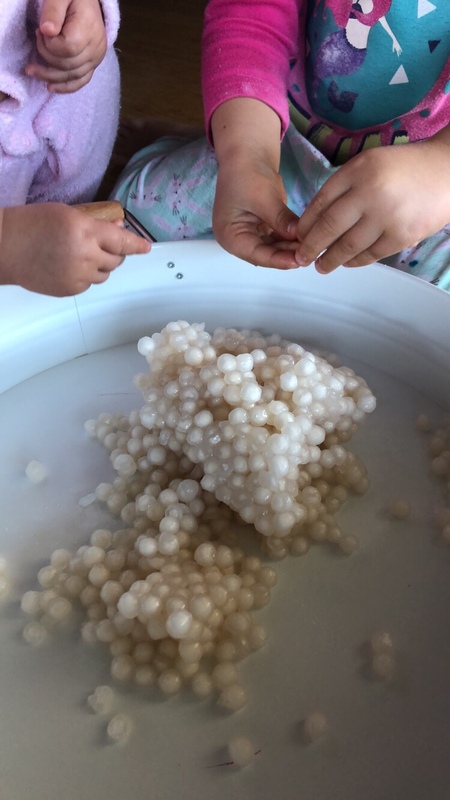 The water beads turned into an activity that really only comes out when Miss 16m is having a nap. 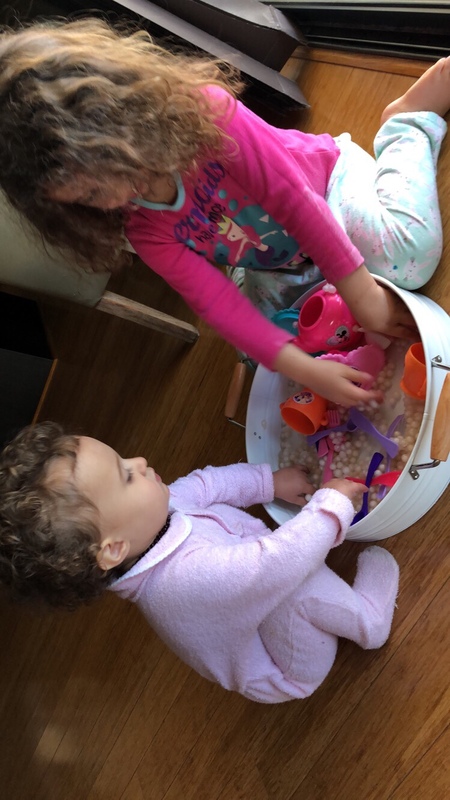 It’s such a shame as both the girls really love playing with the smooth, slippery balls. 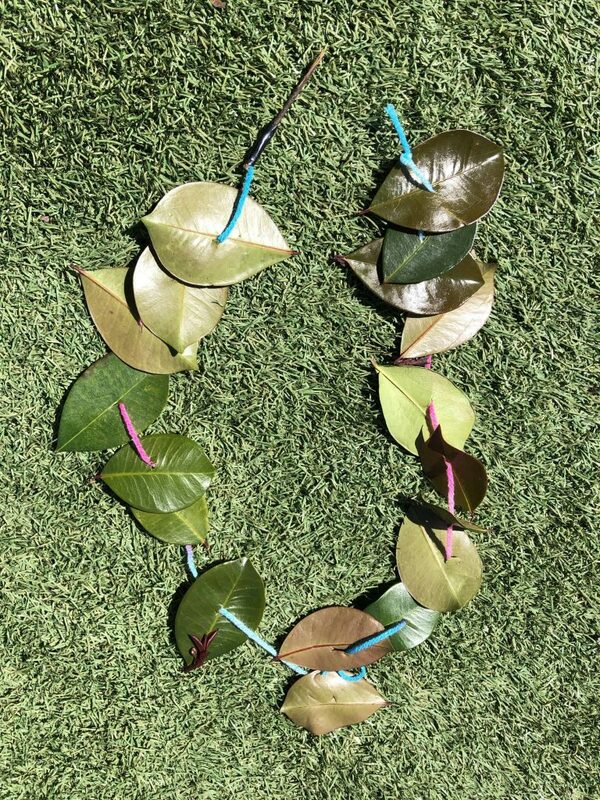 This got me wondering what we could use instead that would be safe for Miss 16m to play with. After much deliberation, it came to me. Have you ever had bubble tea? The squishy balls in the bottom of the tea are exactly what I was thinking of! I happened to have some in the pantry from many moons ago (you can purchase them from your Asian Supermarket). 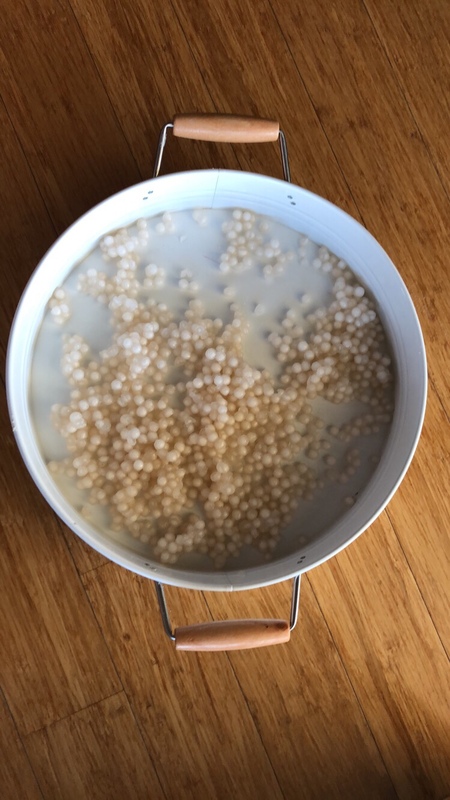 Simply pour the dried pearls into boiling water and stir every five minutes or so until they are transparent. Ours took about half an hour to get about three quarters cooked. Once strained, I ran them under cold water to help cook them down so we could start to play sooner. Being they were par cooked, the centre was still a bit opaque. Growing up, Mum used to tell us kids that these squishy balls were frogs eggs. 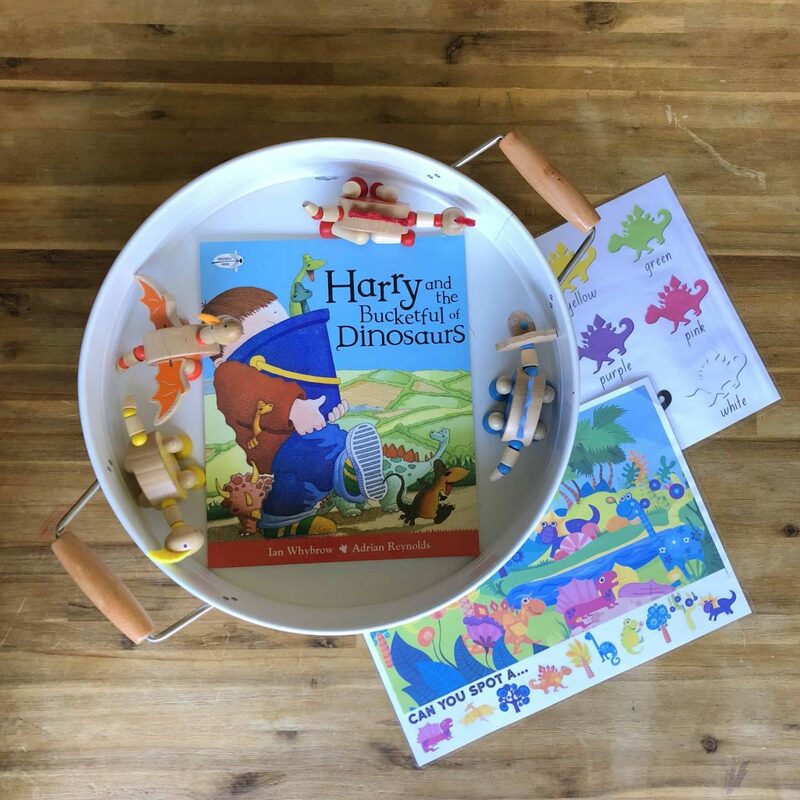 I thought the slightly solid centre would help make the story a little more interesting when I told my children the same thing – pay back children, pay back! The girls both came running when they saw the tray being pulled off the shelf and the questions began. As I lowered the tray onto the floor, four curious eyes peered into the tray. After a brief assessment the girls started to explore. 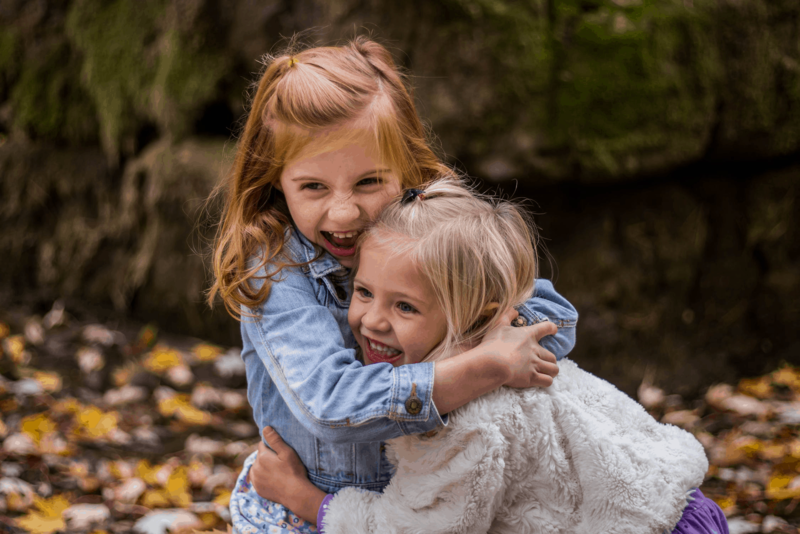 I hadn’t given them much to go on so they wouldn’t know what to expect. As they grew more confident with the cold, wet balls we started to talk about what they were experiencing. 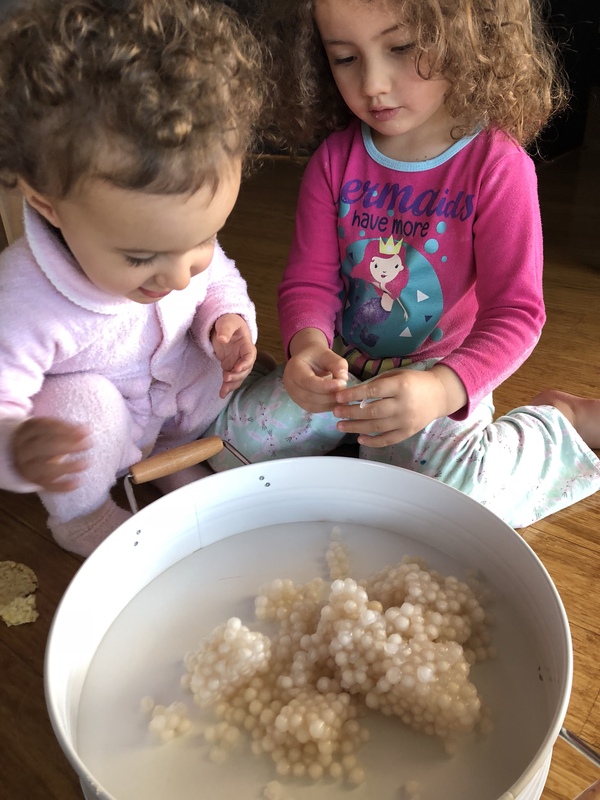 While we were chatting away the girls were running their hands through the pearls. 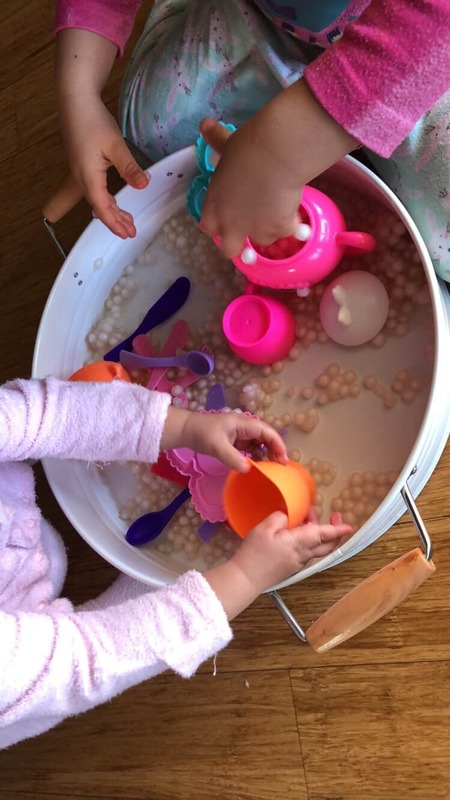 Squeezing individual pearls and then grabbing them by the handful. Miss 16m started to sample them and her protective sister quickly bought this to my attention. Miss 4 instantly relaxed when I informed her that they were safe. The very second she realised this was the case for her also, she too began to have a taste here and there. 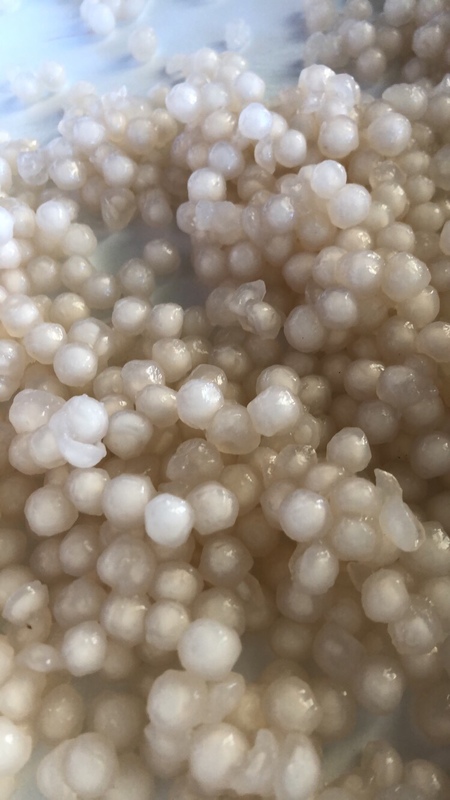 Typically when you prepare Tapioca Pearls, you add quite a lot of sugar to the boiling water so the pearls taste sweet once cooked. Being I missed this step, our pearls were not very pleasant to eat. A little time passed before Miss 4 asked to add other toys to the tray. She promptly decided that the tapioca would be great to serve at a tea party. There were spoons, cups and teapots everywhere and we all had a great time. 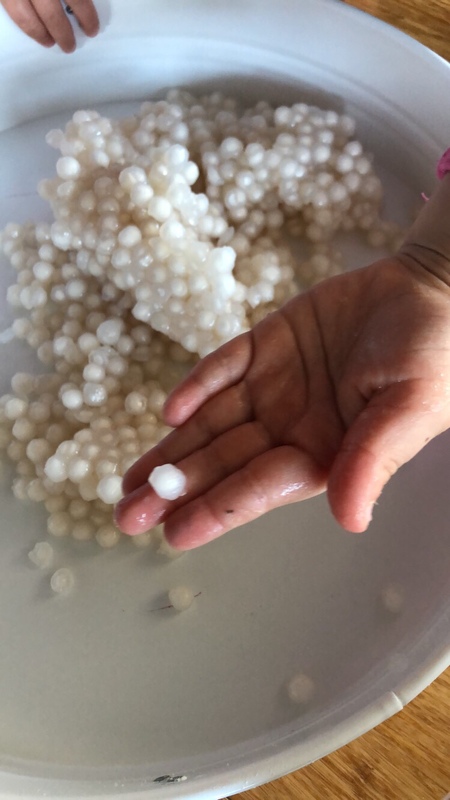 The tapioca pearls were a great success! 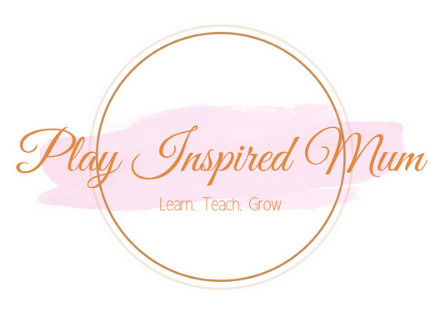 These will definitely be a handy sensory play medium that we will refer to again.